He has worked as managing position in several top 500 enterprises like Lucent, UTStarcom, Motorola, Google and ARRIS, gaining rich working experience in the fields of software and hardware. In 2015, he joined the medical innovation and entrepreneurship platform Bioclub as vice president of investment and financing. 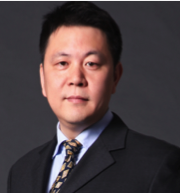 He has been in charge of more than 20 venture capital enterprises incubation and organization consult service.